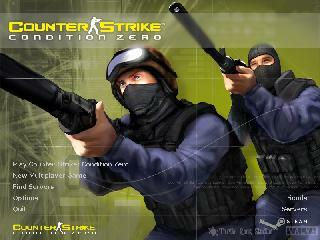 Released in March 2004, Condition Zero is widely considered a failed attempt at VALVe to milk even more money out of the legendary Counter-Strike. This mostly amounted to a poor skin and sound update, with a handful of interesting gameplay features, arguably more bad than good. The "deleted scenes" however, was almost a mini-expansion to CZ: a single player campaign where you take the point in the war against terror, saving the world from hijacked icebreakers and stolen nuclear weapons. Where do I start...? I have so many things to talk about I'm not sure if I can form a cohesive, non-rambling wall of text. Be prepared: most of this will be a rant. And I know two different companies worked to make CZ, but this is supposed to be VALVe's baby. For one thing, I suffer similar problems recording here as I did when I did Half Life 2: relatively low frames affect my playing ability along with autosaves (which usually involve a large graphical skip -- I can't seem to turn them off like in HL2). Also, unlike in HL2, I do each level single segment, so the loading times and the massive stuttering are very painful. The fact that I get low frames is strange. It seems VALVe has slowly destroyed the CS engine over the years with bad programming. I remember in 1.5 when I played on a sub-1000 mhz computer with, by today's standard, a bargain bin graphic card and got perfect 99fps even in a field of smokes. After steam, 1.6, and now apparently CZ's campaign mode (with dialogue, large levels, and many scripted sequences) I barely eek out 50fps while recording this speedrun! I got higher on HL2! This is all the more ridiculous when you consider the dilation of the crosshair is correlated with the client's fps; the higher the fps, the faster it returns to normal, meaning your ability to reliably and accurately burst and spray gets worse as your fps drops (as an aside, I usually still get 99fps in normal 1.6 CS, although this required many PC upgrades; considering how outdated CS really is, this is confusing to me -- and if you add a smoke or two it plummets to the mid 60s). The loading times during mini-level transitions are brutal. They get worse during the demo playback, where it will often skip up to a good 10 seconds of action. Usually it gets less painful if I play the demo a couple times before recording with FRAPs, but it always seems to miss at least five seconds. It would not affect the timing, though, since the larger the skip, the longer the load time goes. Another funny thing that VALVe did is neglect to set appropriate rates for both singleplayer modes (the bots and this, deleted scenes). This engine relies on your rates so when you start with default rates...I can only imagine the frustration of the casual player who gets this out of the box and wonders why people take so long to die or why bullets seem to go through people. Sv_maxupdaterate 100 --> definitely the most important command you can set, followed closely by cl_updaterate 100, cl_cmdrate 100, and ex_interp 0.01. They got everything else right, as far as I can tell. Even with LAN rates (well, we are on our own computer...) the single player AI has some...interesting hitbox properties. For one thing, if the AI is running at top speed laterally to your view you may as well not even shoot at them because bullets won't register on them. Also, sometimes a sniper (scout, mostly) bullet will go through an opposing sniper's head with no damage. The dot can be directly on their forehead; nothing again and again. Pretty funny, really -- and really random, and led to much frustration, and eventually more of a reliance on the rifles. Some specific soldiers in the game are FUBARed as far as I can tell. I'll get to those later. 1. Suicide bombers: Strapped in a belt of dynamite, these maniacal zealots will take themselves out as long as you die with them. Contact is fatal. 2. Machetes: These guys blindly run at you but do a LOT of damage if they connect. 4. Awpers: The laser sighted soldiers; usually bad aimers but when they headshot you at the last moment as you round the corner to freedom it's fun. 5. Riflemen: These guys are dangerous because they can do actual damage; as in multiplayer games, if they hit you in the body your aim will be affected dramatically. These guys get a lot of headshots. 6. Machine gunners / Para Wielders: Paras are mobile; the former man stationary machine gun nests. Both are odd in that they can either kill you almost instantly or let you linger. Para wielders, though, are EVIL -- they usually take you down with lightning speed from crazy distances. Grenades are usually saved for both. 7. Runners: Their job is to distract you with their invincibility while other normal soldiers step up and kill you as you spray into the lagging/wrong hitboxes of the runner...such cunning on the developer's part. I won't bore you with the details, but I am sorely disappointed with the way the video's audio turned out. In some levels it sounds ok; in others, holy moly! Ear plugs, please! It's beyond my control. In desyncs a little sometimes, just enough to make you want to stab yourself. Dialogue almost disappears, for whatever reason, if I face slightly away from the source, even though this doesn't occur when I play the demo. I had to use the lowest graphical settings to get an acceptable video recording with FRAPS. I blame my computer. Unlike normal CS, the guns do not affect your running speed. The only exception is the shield. On to the level commentary, and a new opportunity to whine and complain! This is the standard training level as opposed to a full fledged mission. The only hiccup involves a hostage that refuses to obey orders, but that can't be helped. The NPCs in this game tend to enjoy not doing what they're supposed to if you try to go fast and/or record. Chalk it up to bad programming. Command and control, we have a major malfunction -- hostages are dumb! OK, so this guy isn't technically a hostage, but he operates under the same AI. They like to get stuck! Or not follow your commands...why? I don't know. It seems to happen with great certainty when I record, almost never when I just play normally. A speedrunner's curse, if you may. Believe it or not, this was my best run in terms of the hostage being smart. You should see how many different ways he screwed me over (especially when you first meet -- there's a reason why I stay and kill two soldiers before opening his door, otherwise he goes loony and usually ends up killing himself!). This is my least favorite level in the entire game. I could probably go about 30 seconds faster but I didn't want to spend a dozen hours doing it. You can just barely see the trip lines in the movie, but yeah, that's what I'm jumping over. I love the snow! Anyway, the guy that's supposed to open the door kinda freaks out sometime...but the door opens anyway. I like the effects of the door crushing the boxes, something new in the CS engine...the grenade usually kills everyone in that room but it only got one that time, oh well. The trick to the helicopter is to duck when it starts shooting at you, otherwise the bullets will tear you apart. Check out the groovy effects of the paper going over the canvas! Wow! There's a lot of dialogue in this level...after about five minutes the actual action starts. "This organization revolves around being unethical!" Ho, ho...ho? Terrible laughter! The guard by the tank is a freaking hacker and can kill you really fast if you just run out into the open. I like throwing the grenade into the door and watching the eruption of bouncing organs. Then there's the guy that you shoot in the head a couple times, grab the AK, turn around, and then you see him roll, stand up, and then die. There's a lot of cocaine in this level...and I actually use a scout! The smoke grenade disables two guards, most importantly the rocket launcher (who would otherwise instantly kill you as well as suicide in the ensuing explosion). I like how the first guard just spins in place as the grenade goes off. The hostage / friendly NPC interaction at the end is really messy. If I'm not careful they'll stick together and I won't be able to complete the level, so I have to leave the hostages behind and draw my friends out. The RPG launcher makes really cool noises when you take it out, too bad they're absent for whatever reason in the demo playback. There's some fun scouting and a nice ricochet grenade to take out the target. If you're wondering why I turn around after collecting the scout it's because the guards will invariably toss in a flashbang and I was somewhat lucky it landed a little short (you can see the cloud from it when I peak out). This is quite a lengthy stage. The area near the beginning with the RPG launcher, mines, and awpers is quite frustrating. Something else that rubs me the wrong way is the long reloading time of the famas/clarion (seems to take an extra 2 secs after the animation before the game registers the fact that you did indeed reload it!). I throw a grenade at the guy behind the table because it seems about 2/3 the time he is invincible to bullets. After that, I was somewhat sloppy with the scout...eww. The abundant Engrish in this game is quite painful to the ears! I tried to get the lag to go away in the transition before I collect an extra clip from the friendly NPC but it just wouldn't go any sooner than that. I like the easter egg at the end. I thought this gang dealt in cocaine but apparently crank is actually something else -- thanks a lot urbandictionary.com. A lot of illegal immigrants die in this level! This is a tough stage due to the high density of guards in each room and the seemingly random helicopter rescue objective at the end. If the helicopter blows up then you fail -- simple enough, there is a door where RPG soldiers come out and I keep an eye on it (as well as a variety of grenades) yet the chopper will still magically blow up sometimes. I've scoured the area and there's no other explosive source I can see...color me confused. I like the room where the organs spray out after the explosion. Mmm boy! What a dirty name for such a hard level. Oh, wait...this level is really long. But it is! It's the only stage over 10 minutes. At the beginning when I charge through the hail of bullets is quite random and the chances of survival are quite low. The maze of cubicles is quite haphazard since the guards love to run all over the place like a chicken with its head cut off. I hide behind the box near the helicopter so its rockets don't gib me. The knife fight with the terrorist leader is interesting. Every once in a blue moon the game will glitch out and you'll be able to grab the knife at the beginning of his speech...unfortunately, I couldn't reproduce it in a run. The following are all unlocked after beating Rise Hard. I think this was supposed to be a beta level or something because it has the CZ title logo after the opening action. There are lots of strange posters on the walls...and the goofy background noises are too syrupy sweet. What's worse than a poorly programmed hostage? How about five of 'em? Nooo! Getting them all into the tiny rescue room without some getting stuck or left behind was an exercise in frustration. This is the shortest level in the game...not much to say except it's interesting that you start the level with 10 bullets in your clip. Killing people while running forward with the AK is fun! There's a glitched guard after you blow up the wall with the RC bombs. He opens the door and runs out but if you attempt to go past or kill him he'll freak out and start spinning violently in place a la the Freeman model glitch in old CS demos. I don't think it's possible to jump the gap in the water room, but I could be wrong. I throw a grenade at the machine gunner but he died in the previous explosive barrel blast, which is unusual to say the least. I'm going to have to raise a furor over the incident with the sig rifle towards the end of the stage. Watch the spray on the wall and I clearlyturn the guard into lunchmeat as I lower my aim to compensate for the recoil...but it seems to go through him. Humorous names for the obvious location, eh? Why couldn't the boss be a mustachioed villain? He could be in a spider hole and everything. There's another loveable glitched guard near the end, towards the RC bomb area and before the final area. I shoot him in the head a couple times but he doesn't seem to really mind. The biggest glitch, however, is the fact that carefully thrown grenades will destroy the last target from a far, which saves an enormous amount of time. It does end with your death, however. Without this trick you'd have go through the rigamarole of dispatching the numerous machine gun soldiers and then planting the bomb and hiding behind the proper wall and whatnot.